The St Andrew’s College Shield took place last weekend at St Andrew’s from January 31 until February 3. 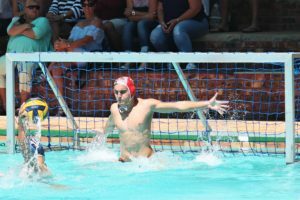 The tournament is held annually, consisting of 11 top schools’ water polo teams competing for the Shield from Durban, Cape Town, East London, Port Elizabeth, George and Makhanda (Grahamstown). This made for a larger and more challenging tournament than the previous year’s event, which consisted of only eight teams. Nic Sutherland of St Andrew’s, during the St ANdrew’s College Shield match between St Andrew’s and Grey at St Andrew’s College in Grahamstown, Saturday 2 February 2019.  The teams were split into two pools; Pool A consisted of South African College Schools (SACS), Grey High, Selborne, Reddam, and Kingswood College, while Pool B consisted of Bishops, Clifton, St Andrew’s, Pearson, Glenwood House, and Stirling. 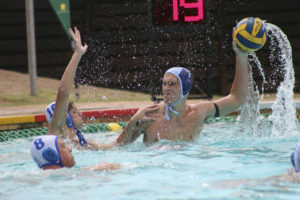 Despite the welcomed and much-needed rain received over the weekend, which normally is not preferable for the sport, the players from their respective high schools gave it their all in the pool and produced their best performances in pursuit of the Shield. The hosts produced noteworthy victories against Pearson (14-4), Bishops (7-3) and Glenwood House (19-6). St Andrew’s ended the tournament in fifth place overall, which, given the increased challenge of the extra teams, is commendable despite their runners-up position in last year’s tournament. Kingswood College also produced a good victory over Glenwood house, winning 7-3. Matthew Hillary of St Andrew’s, during the St Andrew’s College Shield match between St Andrew’s and Glenwood House at St Andrew’s College in Grahamstown, Friday 1 February 2019. After the pool stages SACS, Pearson, Reddam, Bishops, Grey High, St Andrew’s, Selborne, and Clifton progressed into the quarter finals. The final came down to SACS and Clifton, which was a hotly contested battle where both teams fought down to the wire. After the buzzer of the final chukka, SACS emerged victorious over Clifton 9-6. In order of fifth to first, the final standings were St Andrew’s, Bishops, Grey High, Clifton, and SACS. Overall the tournament was a roaring success. The teams competing showed great displays of sportsmanship and spirit, with discipline being kept to an exemplary standard throughout the tournament. A Kingswood College pupil prepares to take a shot against the SACS goalkeeper. 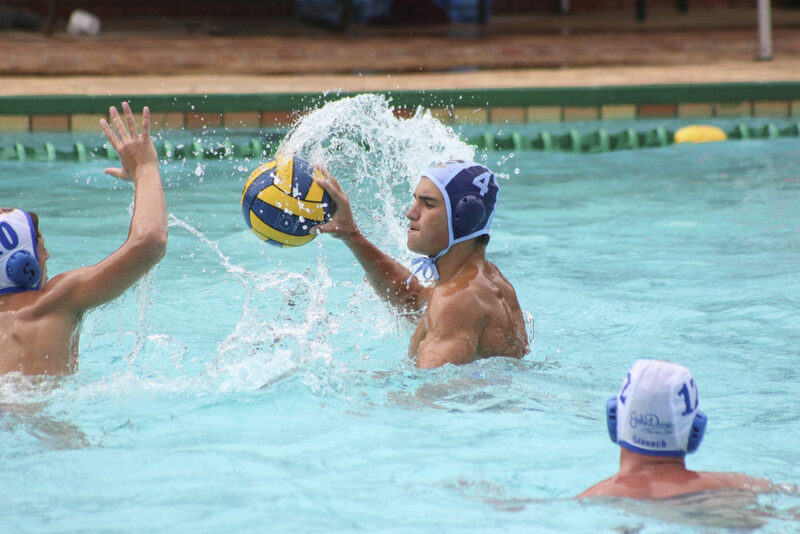 SACS won this game 12-5 and won the tournament overall, beating Clifton 9-6 in the final on Sunday 3 February.